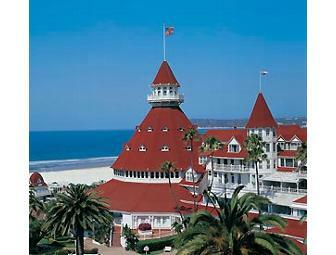 Built in 1888, this classic beachfront respite in San Diego has long been heralded as one of America's most beautiful beach resorts. Today, the Del offers guests a unique combination of modern luxury touched with the charm and grace of this fairy tale castle. Experience a two night stay in resort accommodations. Package expires June 30, 2013 and cannot be extended. Subject to availability, not valid at Beach Village, not valid July, August or holiday periods. Tax and resort charges included. Cannot be combined with packages and other offers.